Barnum Hall, which is currently undergoing renovations, will serve as shared space for new classes between the School of Arts and Sciences and the School of the Museum of Fine Arts (SMFA) spring 2020, according Dean of the SMFA Nancy Bauer. Bauer said that both the School of Arts and Sciences and the SMFA made the decision to renovate about one year ago. “We found out that we were … getting two large lab spaces all the way to the left of the building, closest to Ballou,” Bauer said. Gretchen Von Grossmann, who is the director of Capital Programs, part of Tufts’ Operations Division, confirmed this location in an email to the Daily. “The two art studios are located on the lower and second levels in the east wing of Barnum,” Von Grossmann said. Lois Stanley, director of campus planning, explained how space within Barnum Hall could be allocated to other Tufts programs. The need for these spaces has been a common concern among dual-degree students on the Medford/Somerville campus looking to find areas to complete their art-related work, according to a March 2017 Daily article. The article adds that many dual-degree students find the current studio spaces located in Lane Hall to be inadequate. Bauer said that Lane Hall will remain a space for classes and open-studio time for students working on long-term projects. Zoe Raad, a first-year dual-degree student, said that she has had trouble finding places to get her work done away from the SMFA campus. “I think [the studios] will be so helpful to have a space to work on art in Medford because most of us end up having to turn our rooms into a studio,” Raad said. Bauer explained how two new large studios Barnum Hall studios will satisfy demands which Lane Hall does not meet. Stanley explained the reasoning behind creating additional arts spaces other than those in Lane Hall. In addition to being home to new arts studios, Barnum Hall will also house other organizations on campus, according to Stanley. She explained that building occupants will include the Film and Media Studies (FMS) program, the Jonathan M. Tisch College of Civic Life, the Metric Geometry and Gerrymandering Group, Tufts Institute of the Environment (TIE), the Environmental Studies Program, the Office of Sustainability and the Fletcher School of Law and Diplomacy. Stanley said the renovated building will also include common spaces. Von Grossmann explained that the occupants would move in during the summer. 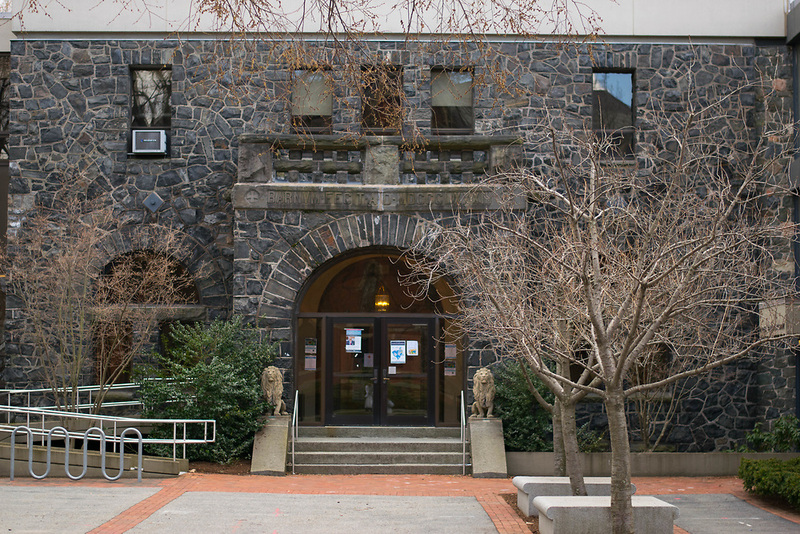 “The occupants of the first floor — Tisch College — expect to move their entire operations out of Lincoln-Filene at the end of 2019, since they will occupy the first level of the east wing,” Von Grossmann said. The second of the two arts studios will be used as a film space to accommodate for the growing Film and Media Studies program. He explained that the policies for the use of the space have not been fully devised yet, but one of the studios will be devoted to the FMS program. “The other will be a larger, shared studio space used by a variety of groups,” he said. Although Bauer is also still unsure of whether the rooms will be only used as classrooms or workspaces, she remains positive of their inclusivity. She said that the spaces will be open to students that both are and are not pursuing an SMFA degree. Bauer explained the final goal behind the creation of these SMFA spaces on the Medford/Somerville campus. She said she understands the difficulties that many students in the School of Arts & Sciences and School of Engineering face in taking arts classes. Bauer emphasized the importance of allowing non-SMFA students to have art spaces on the Medford/Somerville campus. “We are trying to get students who are not at the SMFA used to the idea that taking classes in art-making should be no more daunting to them than acting or music history,” she said. Stanley said these spaces would be available for arts courses in the spring of 2020. This article has been updated to reflect that the renovation includes installing two large studios in Barnum Hall, and that Lane Hall will still be used for open-studio time and art classes.